I so envy Larry Racioppo. He’s a Department of Housing Preservation and Development staff photographer and I met him during the recovery effort down at the World Trade Center. I love his photographs, and I love where his job takes him. SO JEALOUS. 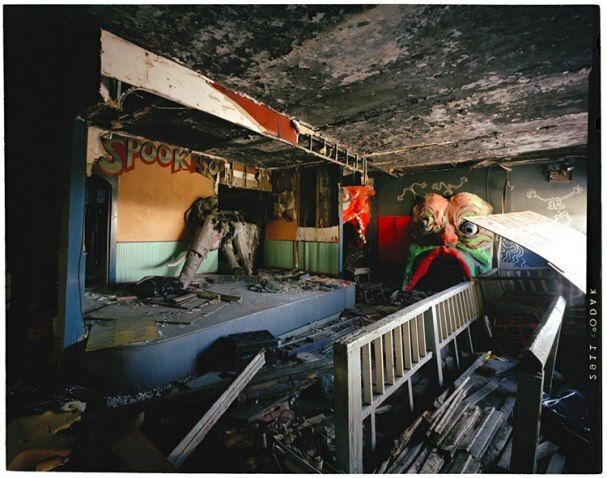 This is a picture he took of the inside of the old spook house at Coney Island. Don’t you wish you could be him, too? OK, it’s spooky even in the daylight. Great photo and I’ll go check his website.